Our Easter surprise came as a last minute request to set the table for a Sunday family dinner – sweet! Our design began with a vintage floral printed tablecloth, layered with bright green placemats and yellow napkins. 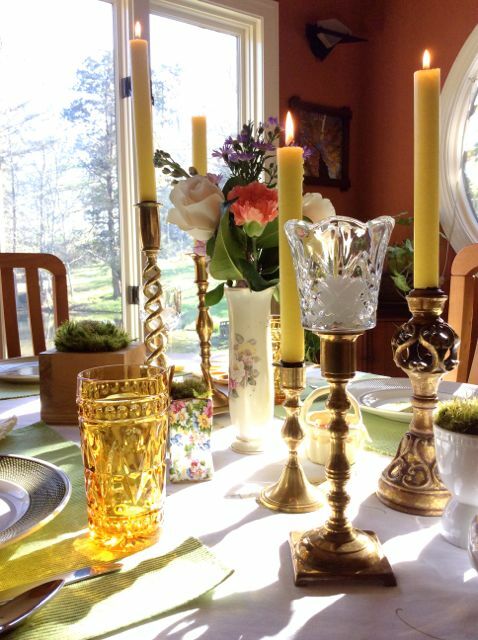 We chose vintage stoneware patterns that featured green, yellow, and brown, and the sparkling jewels of the table were Sharon’s amber thumbnail tumblers – so gorgeous in the afternoon sunlight! The centerpiece vignette included an eclectic mix of vintage gems – brass candle holders with yellow candlesticks, a mixed bouquet in a vintage vase, moss-covered egg cups and china purse, a vintage Easter postcard poised on a fork stand, and a cute ceramic basket filled with colorful jelly beans – so many fun, delightful touches to this stunning table! 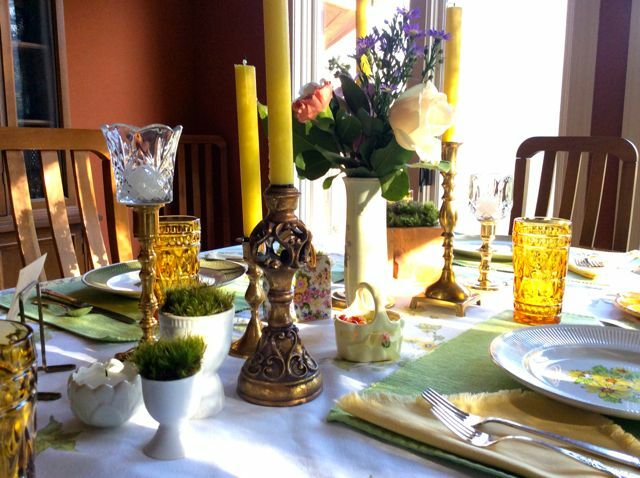 Sharon absolutely loved her beautiful table and knew her Easter dinner guests would, too. As I am in the moment, writing this post about this intimate family dinner and thinking about our upcoming wedding this weekend, I realize once again why I love our business. 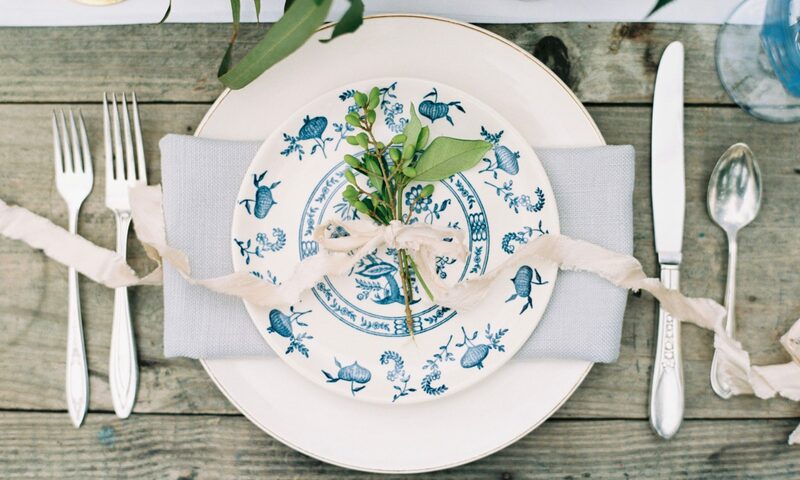 Each event, dinner, affair, and occasion, small or large, grand or casual, is an opportunity for Southern Vintage Table to create a beautiful, unique, vintage-inspired table atmosphere for the most important guest list – yours! Next PostNext Southern Vintage Table Event – A Preview Katie and Ryan’s Wedding Day!